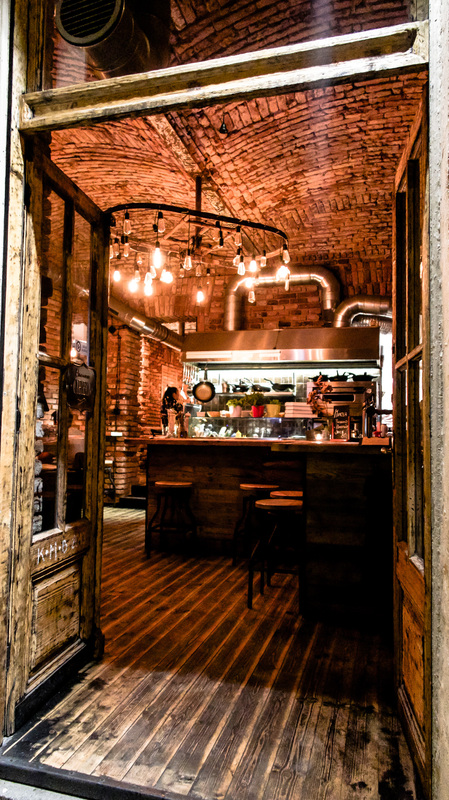 Another cute little hole-in-the-wall kinda place that we love coming across on our travels. Mezi Srnky serves up simple, high quality, homemade food, which was exactly what we were in search of before heading to the airport. Though the menu did not have a vegan option they were more than happy to let me create my own, bringing out a plate with earthy yet sweet homemade nut bread, freshly prepared hummus, salad, and sharp, crunchy, pickled vegetables which added a refreshing contrast of flavour and texture to the rest of the plate. This humble little joint is made up of sharing tables where we rubbed elbows with locals catching up before the start of the working week. This place might be small in size, but has a big heart and the most welcoming environment. 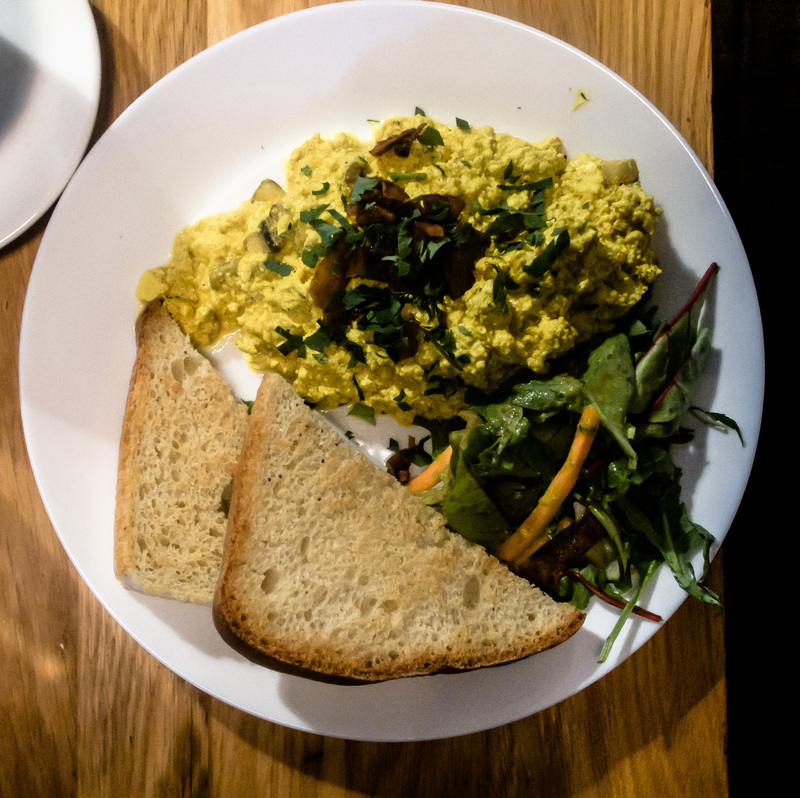 A casual bistro serving up hearty comfort food for breakfast, lunch, dinner, baked goods, and takeaway sandwiches which are all 100% vegan. 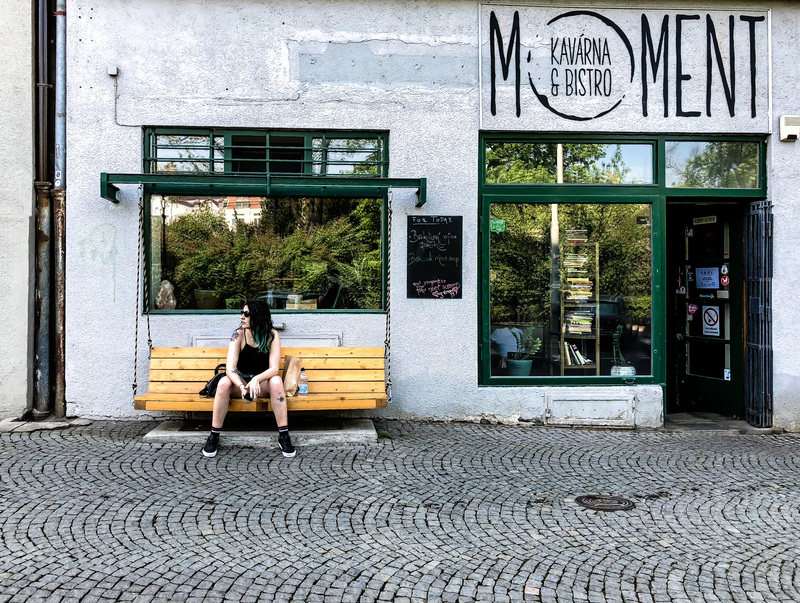 Cafe Moment is a friendly place catering for both vegans and non-vegans, my recommendation is to grab one of their delicious, doughy bagels and soak in the ambiance or take it to go and sit in the nearby park. This little spot became our favourite local the three days we were in Prague as the food was perfect for fuelling our adventures round town. 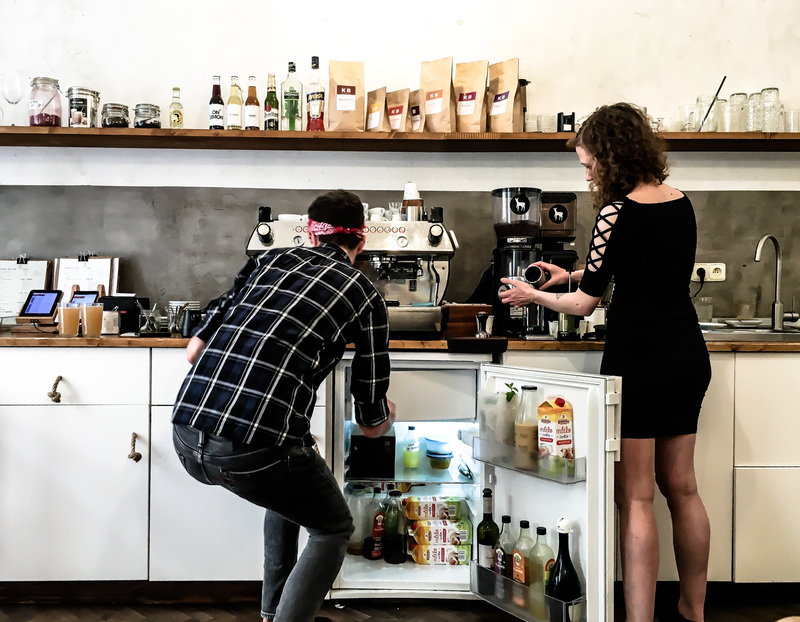 Started by friends with a passion for quality coffee, food, people, and their neighbourhood, Cafe Jen is a great little basement hangout. This local spot is absolutely buzzing and had such a lively atmosphere. Unfortunately they did not have a vegan option on the menu but Pablo thoroughly enjoyed his two veggie breakfasts, whilst I sat back with a cup of their delicious single origin coffee and planned the day. 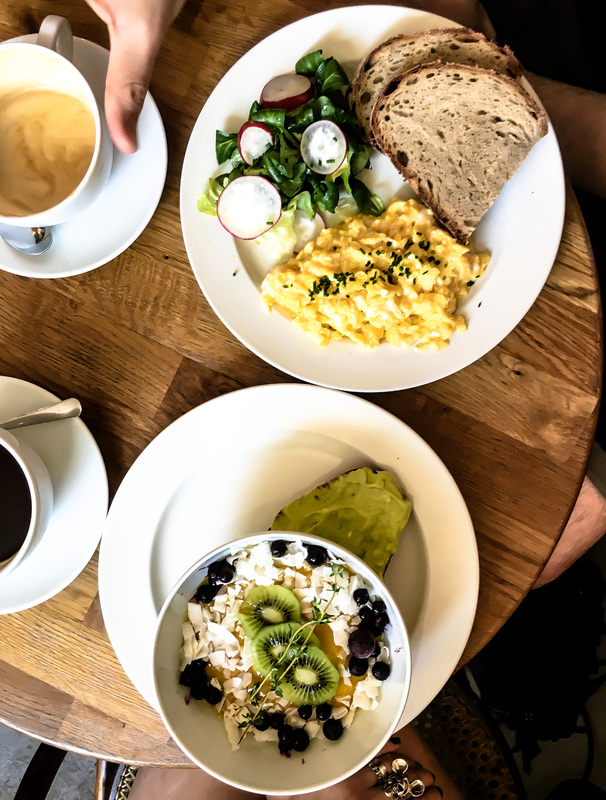 Cafe Jen is a fantastic place to start the day with a massive fresh breakfast or just to unwind with a coffee and slice of homemade cake. 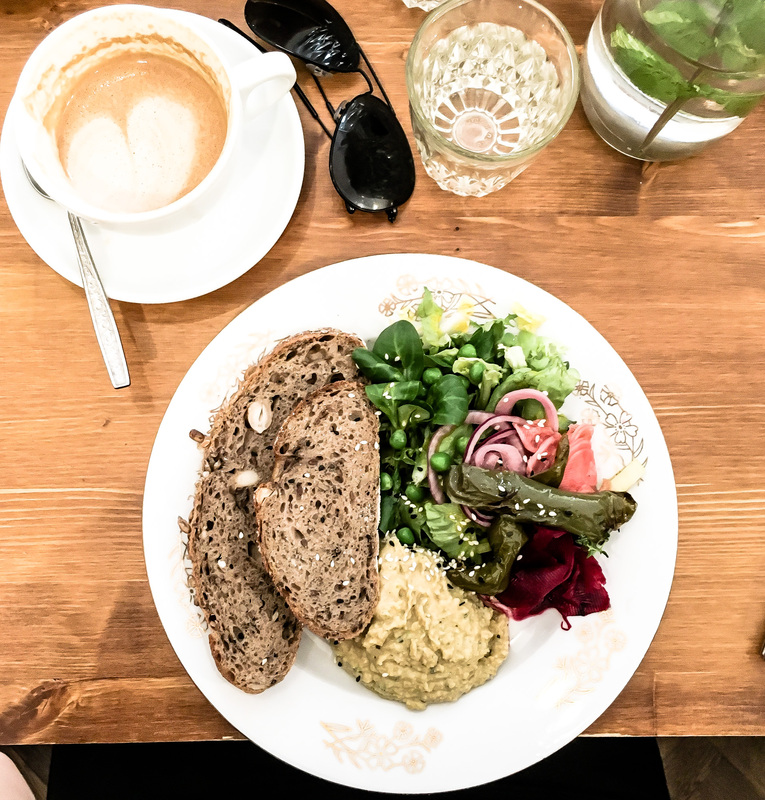 Lunch was the our main struggle in Prague; I was in search of something light to give me energy without weighing me down. My Raw Cafe ticked all these boxes, serving a fully raw menu, along with cakes, juices, coffee and teas. 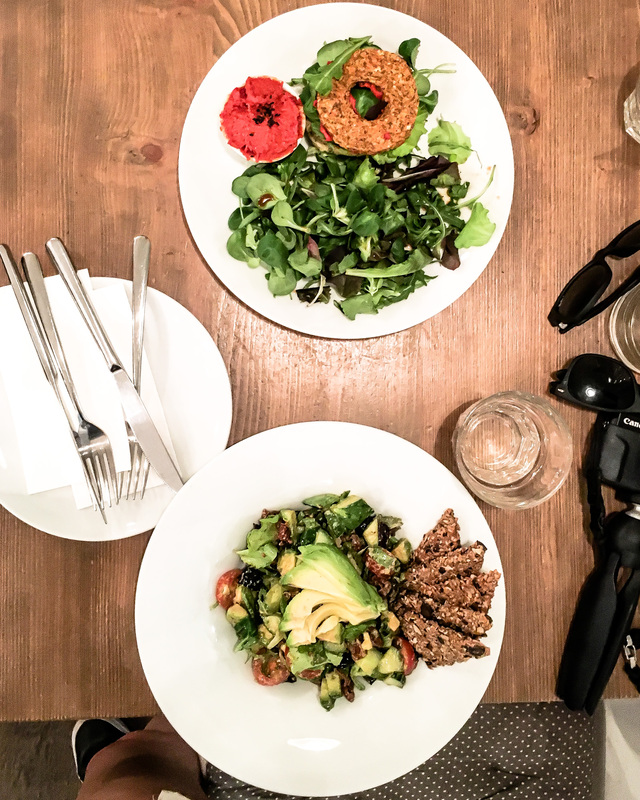 I went for the basic avocado salad, whereas Pablo was a little more adventurous and selected the raw bagel with red pepper hummus, both were incredibly fresh and was just the right amount of food for a quick lunch time stop. The cafe is super homely and a lovely place to take a break from the bustle of the city centre. As we were walking up a steep cobbled hill to our Airbnb I saw a devil painted beside a door and knew I had to see what was inside. On entry to the mystery gateway to hell Belzepub appeared to be empty, however down the spiral staircase a black painted basement filled with hungry rock fans tucking into the most mammoth burgers was revealed. Our intention was just to stay for a drink but having a flick through the menu I was stoked to see there were vegan burgers on the menu. 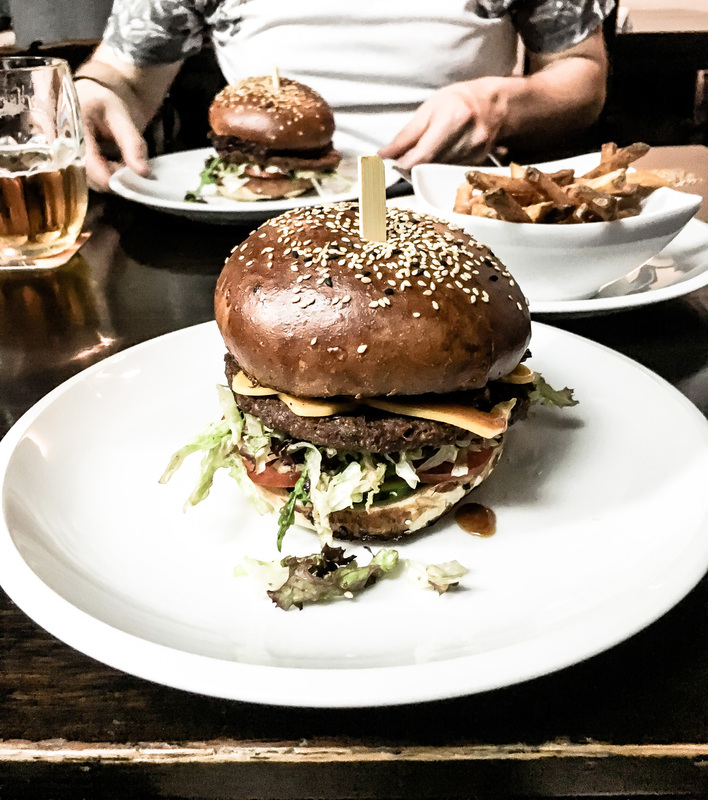 Crispy fries, humungous burgers, beer and banging rock tunes – this place was everything I want from a pub. 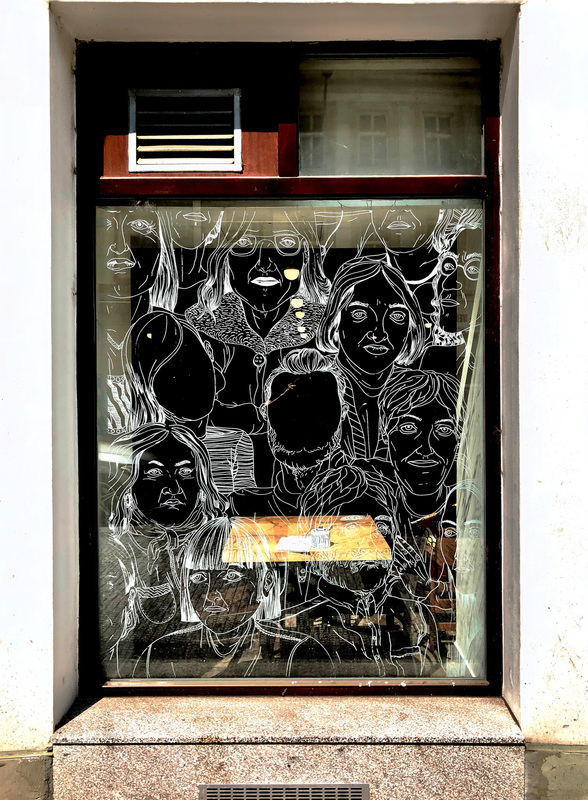 Don’t let the loud tunes and dark decor put you off, the staff and clientele are a friendly brunch and Belzepub was a brilliant introduction to Prague’s Alternative scene. As we walked down an alley I could see the welcoming glow of iridescent lighting from afar and I turned to Pablo and said “oh I hope that’s where we’re going”, fortunately it was and Satsang had way more to offer than trendy inviting decor. 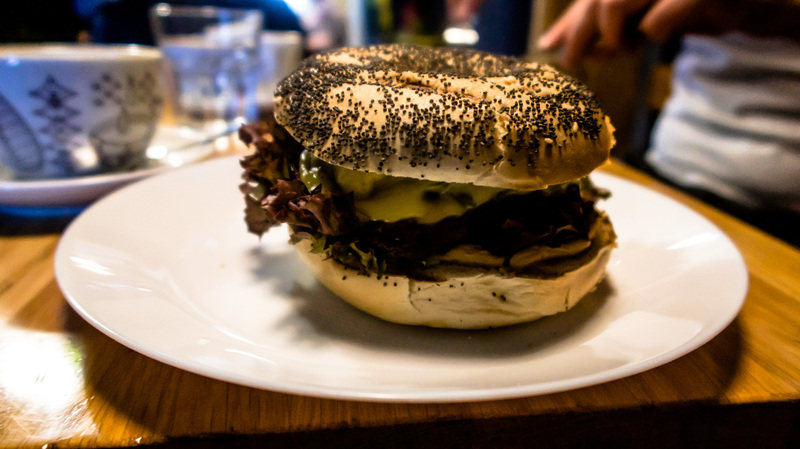 This small vegetarian bistro focusses on local fresh food, and is open for breakfast lunch and dinner. The bread is homemade, as are the pickles and dips. 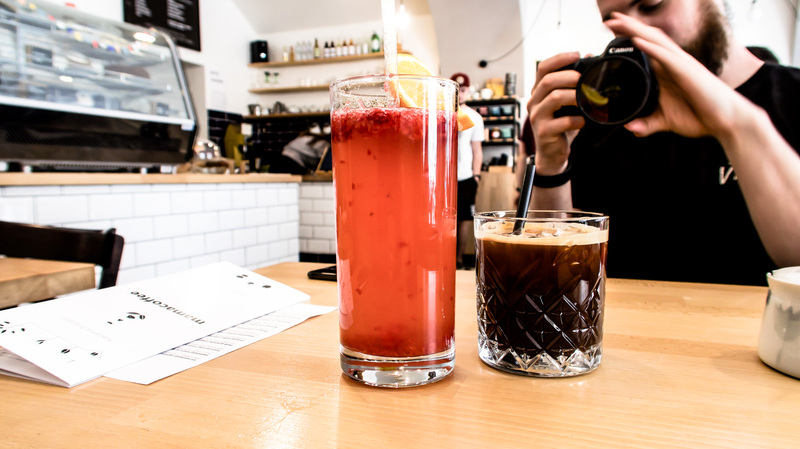 They offer bottomless coffee with brunch and the beer comes from local small breweries and changes monthly. 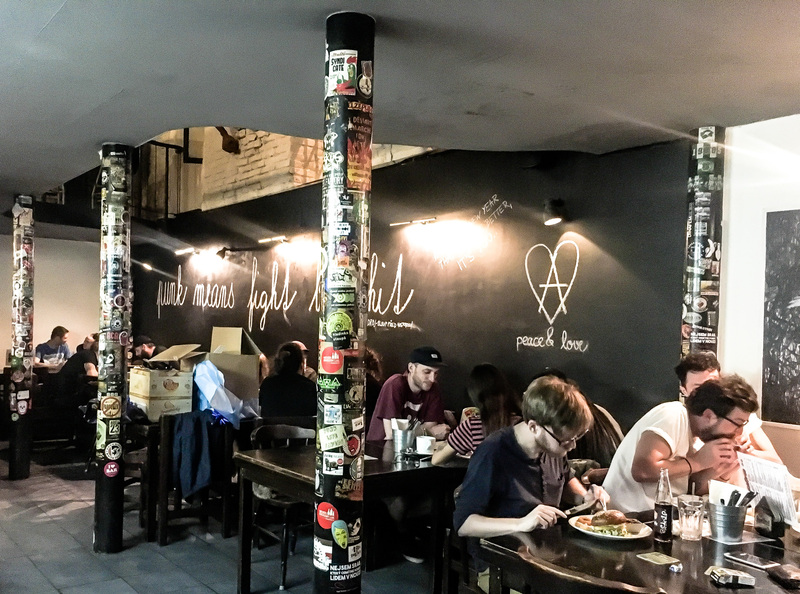 I absolutely loved the ethos of Satsang and the vibe was just as good with candle light, soft Jazz music and a helpful waitress making it the perfect location for our final meal in Prague. 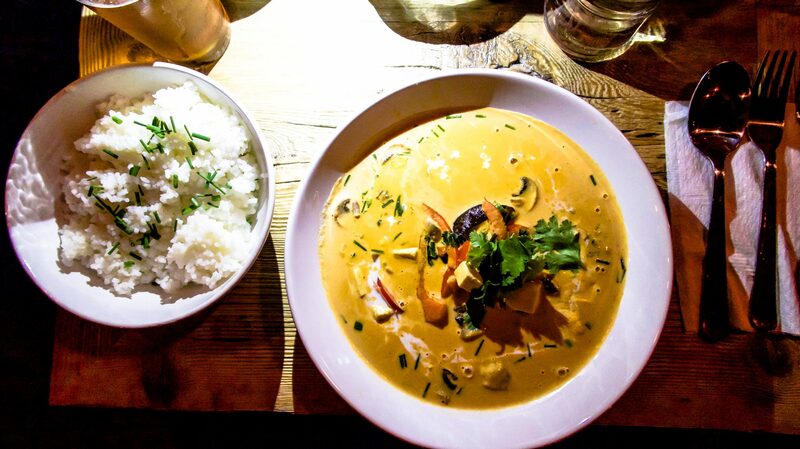 Pablo and I both love street food and have been lucky enough to eat it all over the world, including Thailand. Satsang’s Massaman Curry and Pad Thai were as authentic as they come, with a fantastic balance of sweet, spicy and fresh flavours. I only wish we’d had more time so I could check out the breakfast menu. 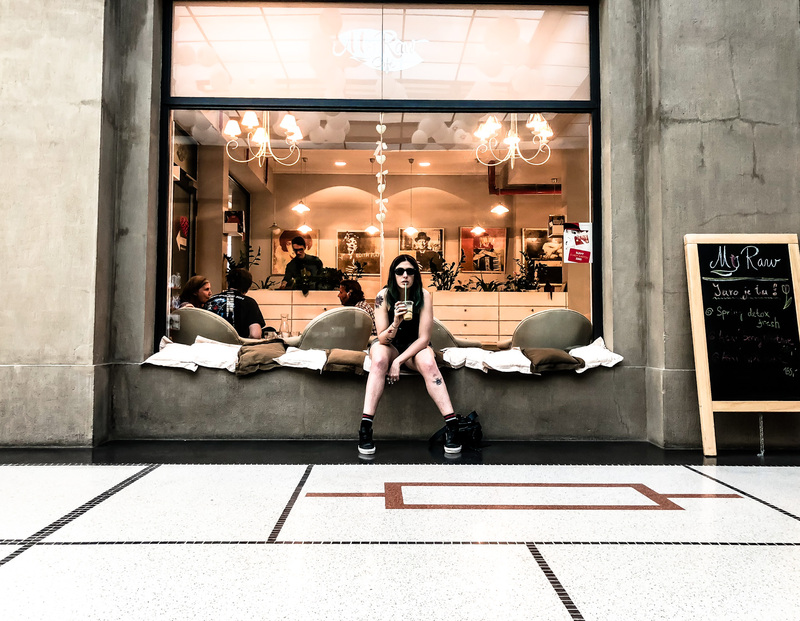 We only swung by Mama Coffee for a drink but ended up staying for almost two hours soaking up the awesome chilled out vibe. The homemade raspberry lemonade was just what I needed to refresh after a sweltering morning trying to hunt down street art, and Pablo’s cold brew was so delicious we bought a bag of coffee to take home with us. 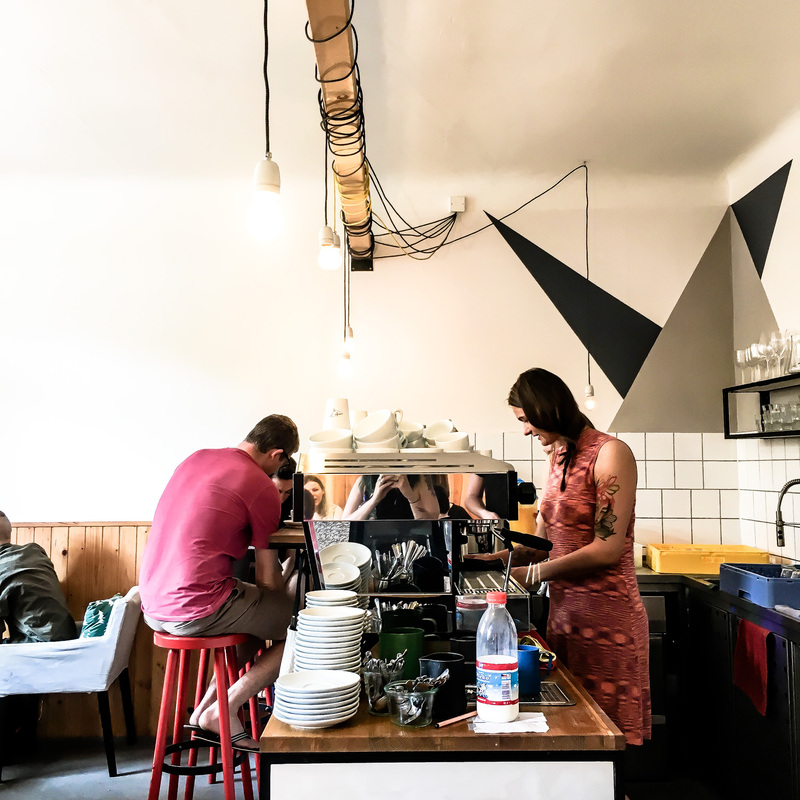 The staff were knowable and happily helped us pick out beans to suit our tastes, as well as giving us some recommendations on what to do on a sleepy Sunday in the city. 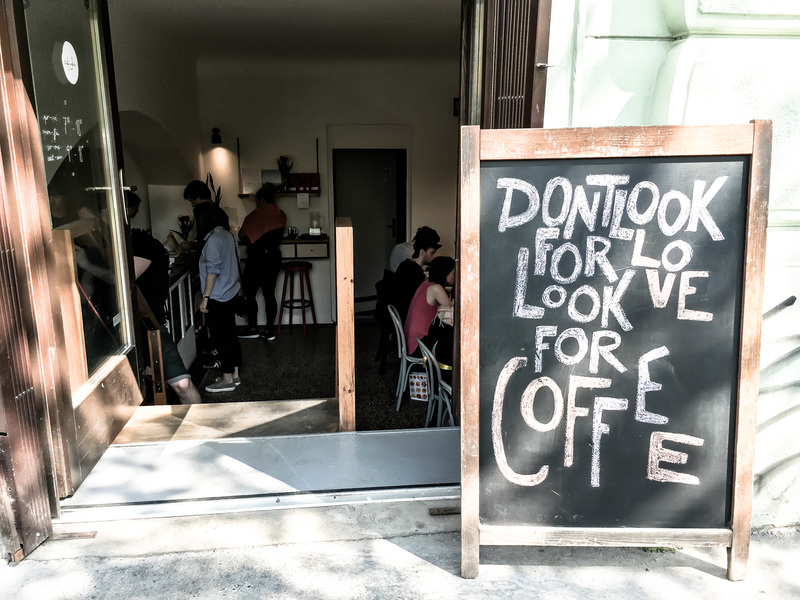 Next time I’m in Prague I’m 100% going back to check out the brunch options. 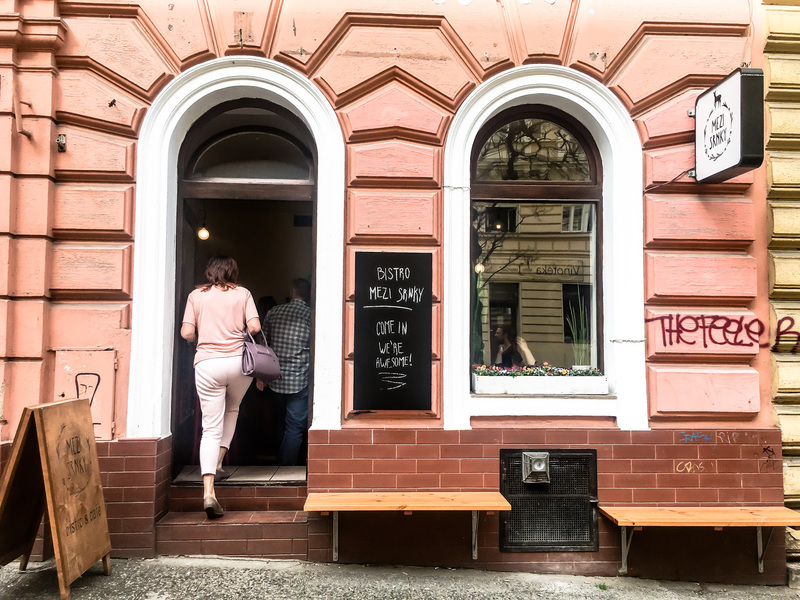 That’s my little roundup of where we ate on our weekend to Prague, if you’re looking for more to do in the city don’t forget to check out my Alternative Guide to Prague. Also, if you have any recommendations for my next trip let me know.